So, I’m bipolar. You probably suspected, based on the name of my blog. Being such often means living in a very different world than what most people see. This is especially true when you are in a bipolar relationship, but there is hope that you can be successful. This article lists seven things you can do to improve your odds. 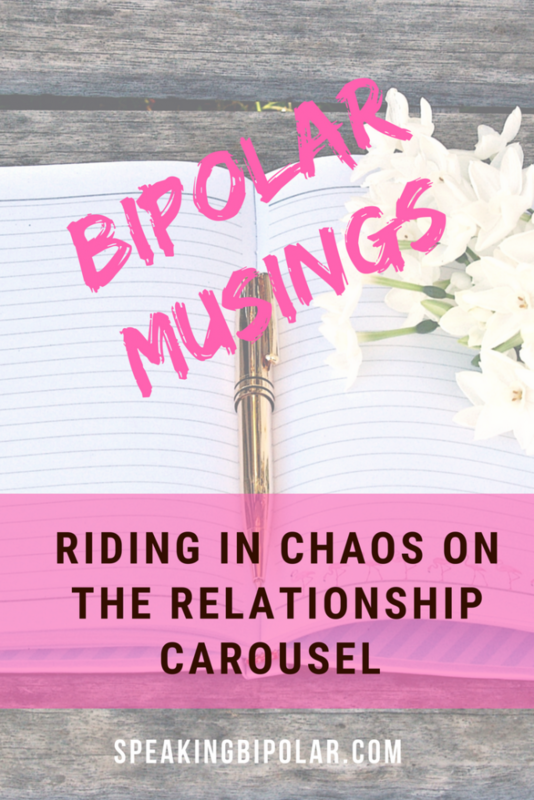 What is a bipolar relationship? It’s not a clinical phrase by any means. Rather, for the purposes of this post, it refers to any relationship where at least one of the parties involved is bipolar. Disclaimer: I am not a mental health professional. If you or a loved one are dealing with difficult mental health issues, please seek appropriate, professional help immediately. If you are curious about the signs of bipolar, you can read the general symptoms and my experiences in the post 12 Signals That Point to Bipolar Disorder. All the posts on this site contain personal experiences by someone with bipolar disorder. A few days ago, I received a wonderful comment on one of my most popular posts, Speaking Bipolar – A Mental Illness Translator. It was from someone that had been in a bipolar relationship. The comment gave me mixed emotions. On the positive side, I was thrilled that my writing touched someone enough that they were willing to take the time and leave a comment. 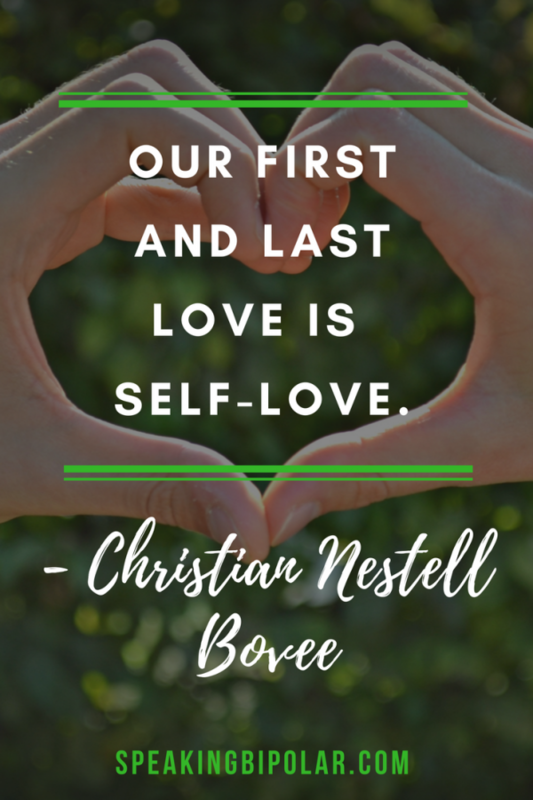 Blogging can be a very solitary world, so it’s nice to get validation that you are connecting with someone. On the other side, the comment made me a bit sad. The commenter mentioned how she had been in a relationship for eight months with a man living with bipolar disorder. 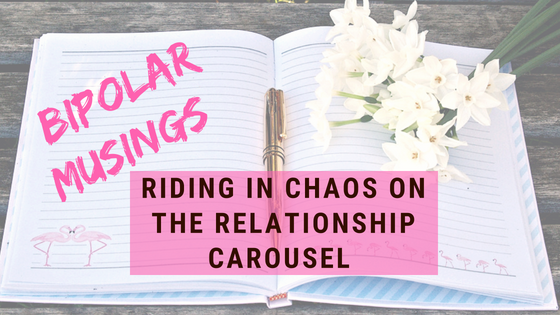 After all the ups and downs, or riding on the chaotic relationship carousel, she decided it was necessary for her mental health to take a break from the relationship. I don’t know the commenter personally, but I know it had to be a very difficult decision. She described her ex as “the most fabulous man,” so clearly she thought well of him and had strong feelings for him. That said, self-preservation is vital to good mental health, and if she felt the need to step away, it was likely the right decision. To see any positive bipolar relationship end makes me sad, and I hope their relationship finds a way to continue. Let’s face it, relationships are hard enough. Adding bipolar to the mix is like dropping a fork in a blender, but the situation is not hopeless. Personally, I have stopped dating for the time being. I tend to be a bit rough on the women I date, and after destroying more than a few of them, I thought it was best to take some time to get myself in proper working order before trying again. However, I do see lots of successful bipolar relationships around me all the time. One friend, who happens to be going through a very difficult time right now due to family problems, has a wonderful husband that for the most part is very supportive and loving to her. He doesn’t understand bipolar, but he is willing to work with her to make their marriage successful. There is hope, and there are things you can do to make a relationship last. Here are seven things that can help. 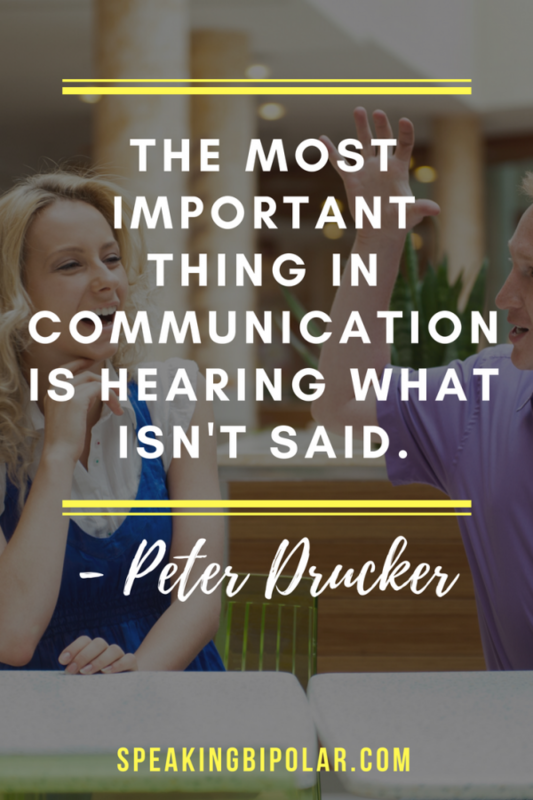 Communication is probably the number one key to any relationship. It has even more value in a relationship with manic-depressive disorder. The problem is that often times the person with the condition doesn’t want to talk. What can you do? Be patient, and keep making openings for honest conversation. A few years ago I got engaged. Why she stuck with me as long as she did, I don’t understand. 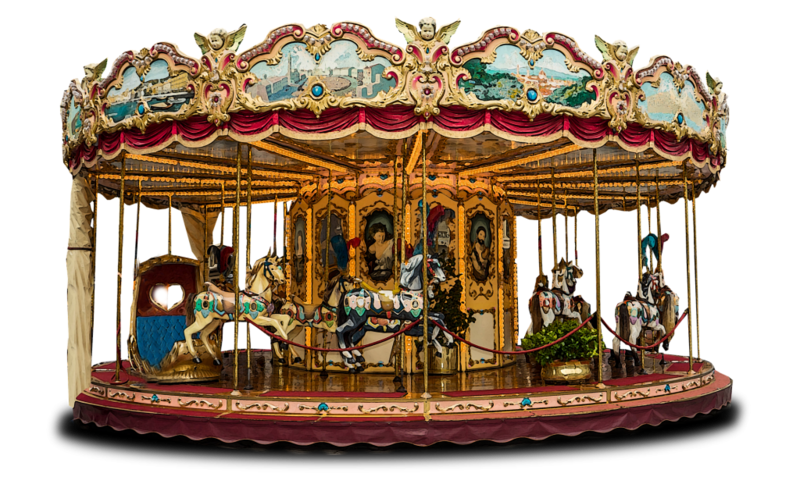 She ended up being diagnosed with manic depression herself, and maybe that’s why she was willing to stay on a carousel that was spinning out of control. Anyway, I digress. I was much younger then, and things were very on-again/off-again. In fact, every few weeks to months we were getting together or breaking up, and the trend went on for years. From my side, I can tell you that one of the biggest issues came from the fact that I was not willing to talk enough nor openly enough. I didn’t tell her the things that were bothering me or why. 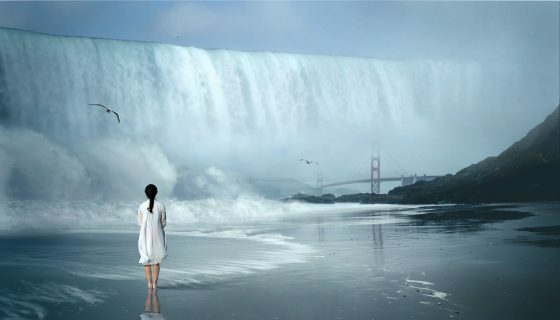 Instead, I reached a breaking point and walked away, but I did care about her, so I kept coming back. If you are in a relationship like that right now, take the time to talk about it. Be open from your point of view and encourage the other person to be open without judgment. If you are in a relationship with someone dealing with a mental illness, it is guaranteed that your feelings are going to get hurt from time to time. I wish I could sugar coat that or make it less true. Even the best medicines won’t be effective 100-percent of the time. That said, it’s important to learn to forgive. Especially with bipolar disorder, understand that not everything the patient says is something they mean. In the heat of the moment, a mentally ill mind can quickly come up with the worst buttons to push and the most painful things to say, but often those things are a gross exaggeration and not how the person really feels. Personally, I have devastated people while in the manic state. I would be short many friends today if the people I love weren’t willing to be forgiving. If you have the condition, it’s equally important that you learn to forgive. Does your partner need a break from you? That usually doesn’t mean that they’ve stopped loving you. Think how many times you’ve wished you could get out of your head. If you had the ability, you would take the break too. It could be that your partner has said hurtful things to you. Are they things that will matter in 10 years? How about in 50 years? If they won’t matter then, try to let them go today. Forgiveness is contagious. If you can learn to be forgiving, your partner is bound to be more forgiving in return. 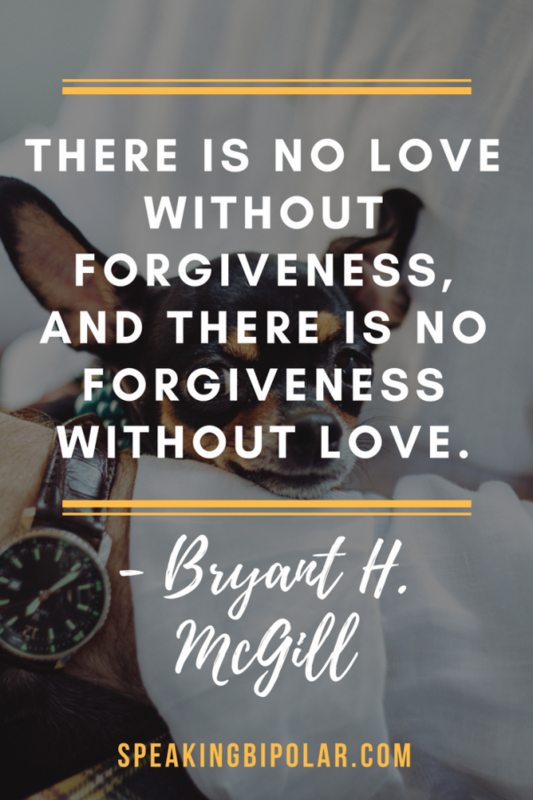 Who of us doesn’t need more forgiveness? In many cases, bipolar disorder is seasonal. No, it doesn’t ever go away, but there are usually some seasons that are better than others. Historically, spring has always been my worst season, though I do seem to fall a little bit off the sanity wagon around the end of the year as well. Knowing that, it’s important to be willing to be patient. Ask yourself, is the relationship bad or are you just going through a bad stretch? Is the relationship toxic, or are you just having a few bad weeks? Hopefully, the answer to both questions is a positive reason to continue. If so, ride the wave for a few weeks, or take a few days apart. Be patient and remember that no relationship is perfect. Even two people with no mental health concerns are going to face bad stretches, so don’t be quick to blame all the problems on the condition. 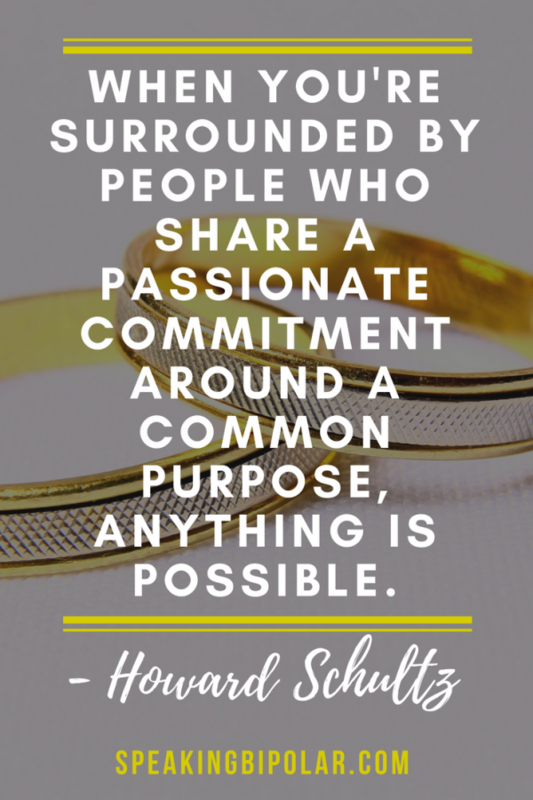 Another thing that can help build a more successful relationship is a strong commitment. Bipolar brings a lot of insecurities to the party. Knowing that your partner is not going anywhere can do a lot to keep the monster at bay. If you are the one with the condition, commitment is just as important. Make sure that your partner knows that you are not going anywhere. Then, work your hardest to stay present in the relationship no matter what. Yes, I understand completely the compulsion to run, and that compulsion from both parties involved. If there is good in your relationship, hold on to it. Promise to stick it out, and don’t let go. 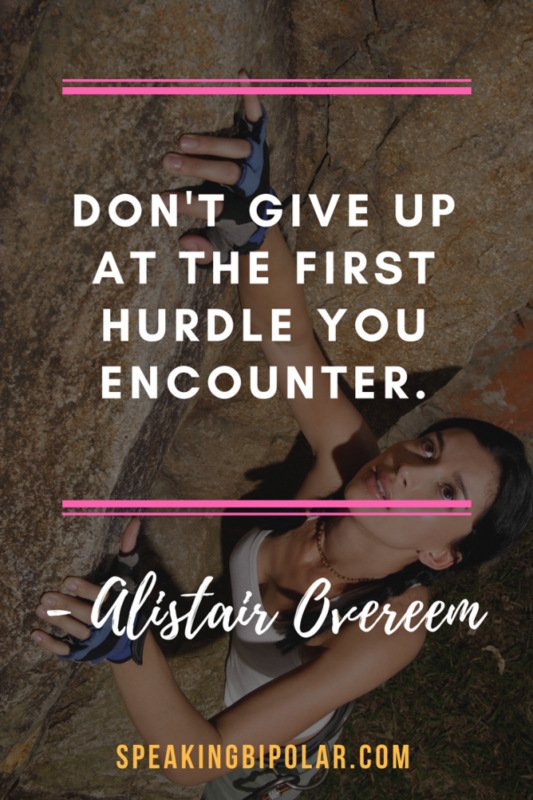 Sometimes there will be big things that are hard to get past. Each relationship is unique, so I cannot unequivocally say that you should stick in your relationship no matter what. Especially if things have become abusive, you should consider exiting. However, try to look at the positive as much as possible. Keep a positive mindset. The only constant in our world is the fact that things will change. Today might be a terrible day. It might be the worst day you have ever seen as a couple, but do you know what? The sun is still going to come up tomorrow. Whatever is making today terrible is likely temporary. 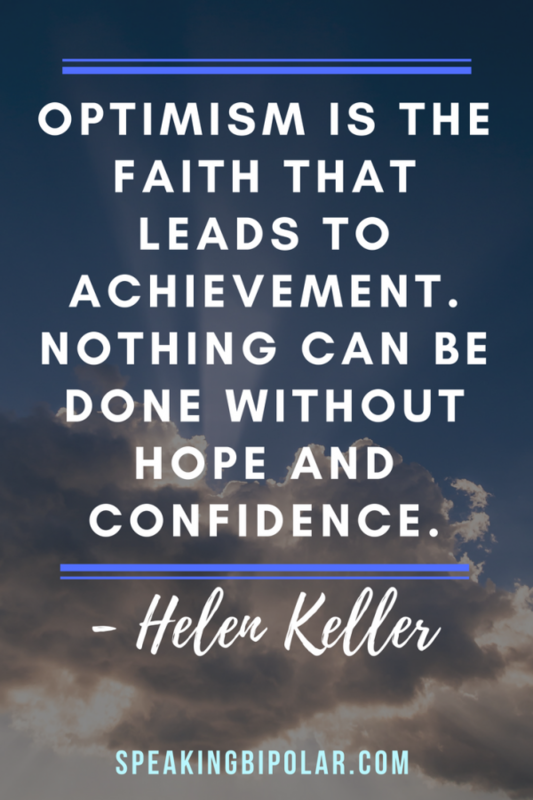 Keep a positive attitude, and look to the future with hope. If today is a Manic Monster day (that’s why I call my angry, manic days), know that tomorrow you may see the personality that you love the most. Keep hope in your heart no matter what. You can learn most benefits about a positive attitude in the post How To Be Happier: Change Your Mental Illness Perspective. Relationships with mental health concerns are most successful when the mental disorder is being properly treated. If that is not happening, consider what you can do and read What To Do When a Loved One Has a Mental Illness. 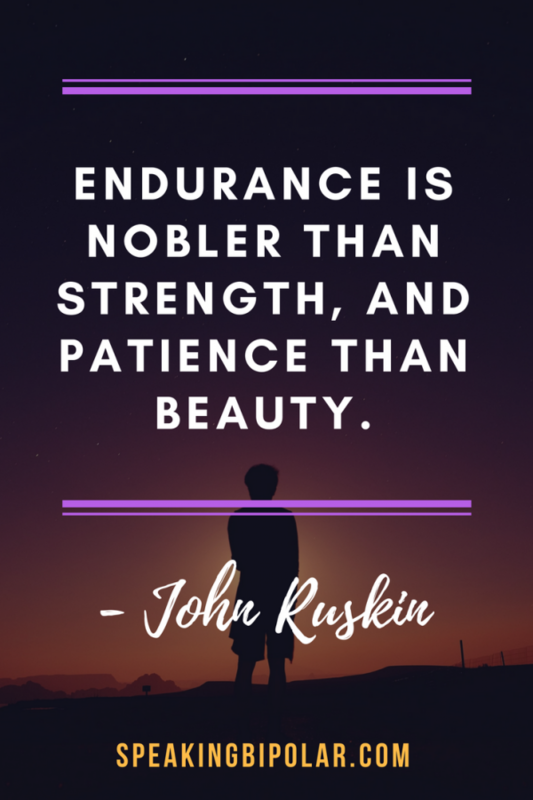 Knowledge is power with any illness, and it’s important for both the patient and their loved ones to be adequately informed on a mental illness condition. I don’t want to go to the doctor. I have a good doctor, but I hate going. Medicine is the bain of my existence. Yet, I continue to seek treatment and take my meds for the sake of my loved ones. If you have a mental disorder, seek proper help and then follow your treatment plan. Proper care is one of the top things you can do to help strengthen your relationship. It shows your partner that you care about yourself enough to keep yourself healthy. It also tells your partner that you care about them and want to keep the monsters away as much as possible. Not all relationships are worth saving. I hate to say that, but it’s true. You have to do an honest evaluation and see what the facts are about your relationship. If it’s already had some longevity, then don’t be quick to throw it away just because of some bad times. Even if the relationship has to end, it’s not the end of the world. The world keeps spinning, and you can find love again. I have not given up on finding a partner, though I am taking some time away from the dating scene. Love is possible, so don’t ever give up. These are just a few of the things that I notice help keep relationships strong. Do you have other tips that can help? Please share them in the comments below. Blogs grow through word-of-mouth. If you enjoyed this post, please share it on social media and with others that you think will enjoy it. I thank you in advance for your support. I chose not to date for three years. It was good for me in many ways. Now I take a less traditional approach to dating. I keep it casual. It works for me. Sometimes a break is the best thing. Thank you for leaving a comment. How can you help someone who doesn’t know has bipolar disorder and refuses to get an evaluation? Maria, I wish I had a solution. Treatment is most effective with the willing participation of the patient. You may want to contact a mental health professional for tips on getting someone to accept that they need treatment. I have a story I’d love to share but not in a comment section.